Federal workers impacted by the recently ended 35-day shutdown, the longest government shutdown in U.S. history, received help from the ‘Stand with Federal Workers’ event yesterday at Brookdale Hospital Medical Center, where food and metro cards were provided. Ampry-Samuel sent out a notice on social media asking families who’ve been impacted by the shutdown to inbox her and let her know how they can help, she said. “I wasn’t sure what to expect but we were alarmed at the number of messages we’ve seen,” she said. Ampry-Samuel addressed people’s needs for help with food and housing by connecting with organizations. 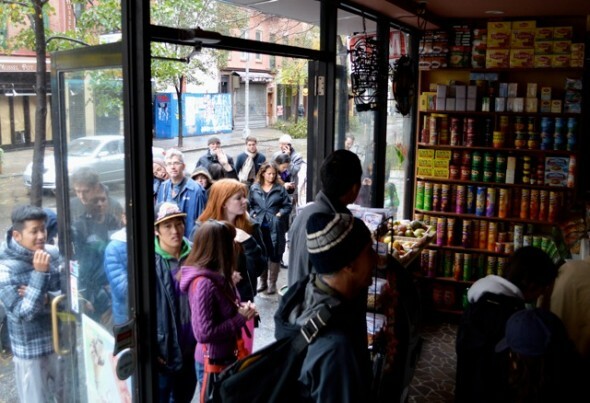 The event today was supported by One Brooklyn Health and Campaign Against Hunger and Power of Two. 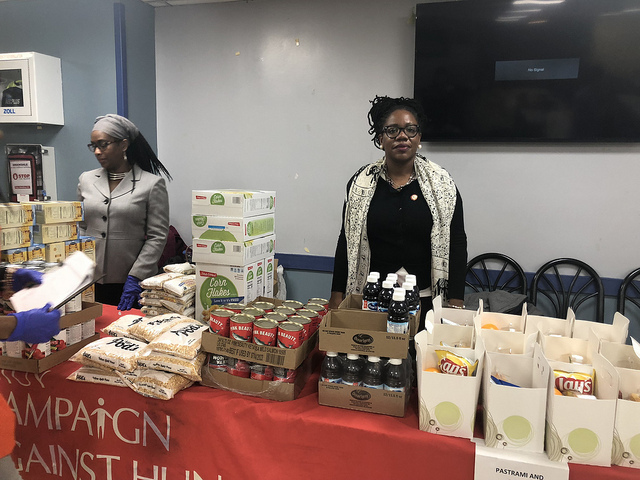 New York City Council Member Alicka Ampry-Samuel, right, co-hosted the Stand with Federal Workers’ event today at Brookdale Hospital Medical Center, providing food and metro cards to federal workers affected by the government shutdown. Before the furlough, the workers had to pick up extra hours or work overtime to make ends meet, they said. 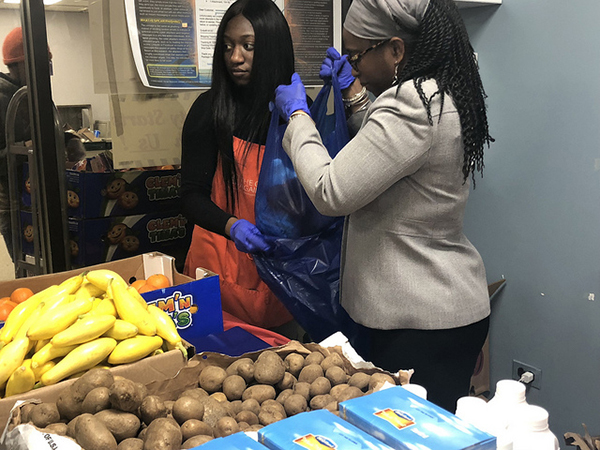 Volunteers helped with the ‘Stand with Federal Workers’ event today at Brookdale Hospital Medical Center, where food and metro cards were provided to federal workers affected by the government shutdown. 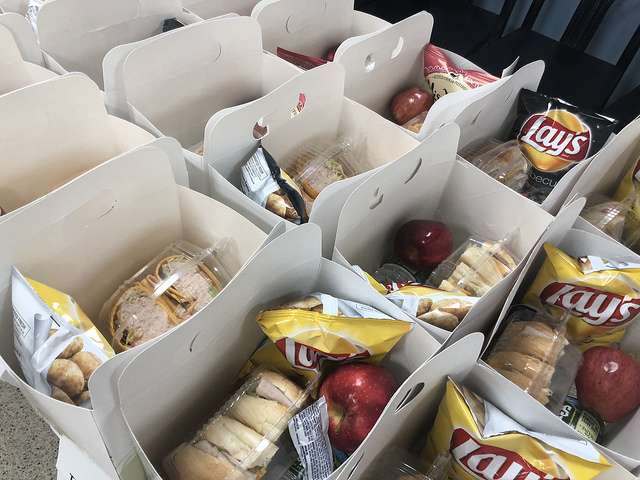 During the shutdown, the employees said they have also been supporting one another by having potlucks at work. The government is opened for another three weeks and there is uncertainty as to what will happen next. The workers are worried another shutdown is coming. Trump has said he will declare a national emergency if he doesn’t receive funding for the border wall. But Ampry-Samuel is hopeful that there will not a second shutdown. “At the end of the day, I truly believe we live in a great country and our leaders will do the right thing on behalf of the people,” she said.